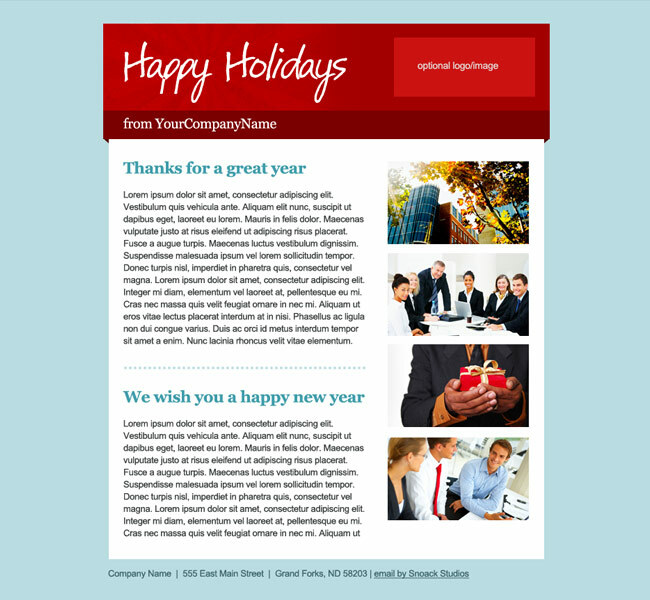 We created a holiday template for our clients to use for sending out in lieu of printed holiday cards. Holiday cards sent digitally are great because you have more room for photos, links, lots of text, and all sorts of things that you can’t do with printed cards. This template is meant to be festive but can work well for friends and family or clients and professional contacts. There is space for text on the left and as many images as you like on the right. You can also add your logo or another image in the header area to make the email fit your company or family.